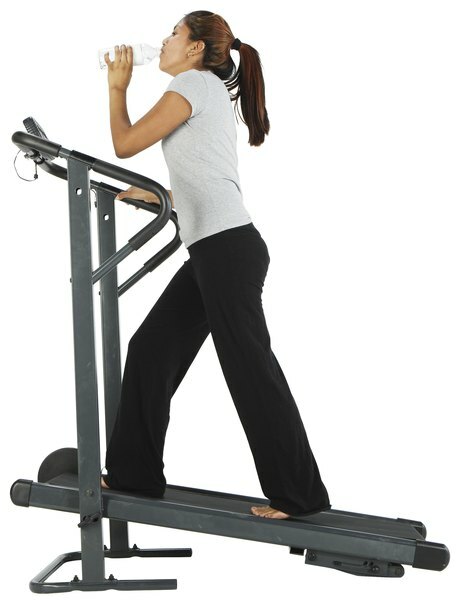 Inclines put your Achilles and calves through potentially damaging ranges of motion. Calf and Achilles tendon strains occur when a number of muscle or connective-tissue fibers in these lower-leg structures are torn. A strain is distinct from an outright rupture, in which so many fibers are torn that portions of the calf muscles or Achilles tendon actually become separated. Strains of the calf and Achilles are very common in people who run for exercise, and those who stick to treadmills are not spared these maladies. The muscle informally known as the calf actually consists of two muscles -- the gastrocnemius and the soleus. The gastrocnemius is the higher and more superficial of the pair; it consists of the two "bellies" that form the calf bulge in your leg. The soleus lies deeper and lower and blends seamlessly into the Achilles tendon, which anchors the muscles to the heel bone. Together, these tissues are responsible for the "toe-off" or "push-off" stride phase. When you go from being flat-footed up on to your tiptoes, you are working these two muscles; if you do this repetitively, you're doing the exercise known as calf-raises. 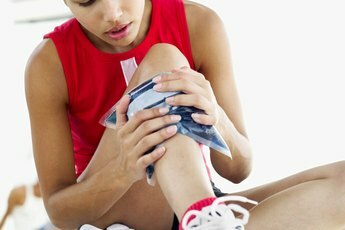 A calf strain -- felt as a sudden, sharp pain in the relevant part of the leg -- is usually rooted in one of two things: a sudden pushing-off or an overstretching of the muscles or tendon. 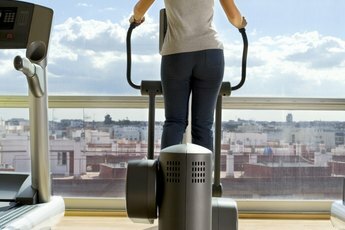 Lower-leg strains incurred on a treadmill most often involve the latter, as sudden leaps are uncommon and certainly ill-advised. If you incline the treadmill belt, simple physics dictate that your calves and Achilles are stretched through a greater-than-normal range of motion, making you more susceptible to strains. In addition, continuing to run in the face of what may seem like "minor" soreness is, according to the Runners Rescue website, another reason runners wind up shelved by calf and Achilles problems. Most runners who have been hurt at any time are familiar with R.I.C.E. -- rest, ice, compression and elevation. This is your first line of treatment when dealing with an injured calf or Achilles tendon, although you can't compress your Achilles. For a strained calf, apply a compression bandage for no more than 10 minutes at a time, as compressing the muscles longer will restrict blood flow to an extent that may worsen damage. For both a calf and an Achilles strain, use a heel pad to take some of the stress off the area by not allowing it to stretch as far as it otherwise would. The strategies you can use to prevent the onset or recurrence of calf and Achilles strains are similar to those invoked to keep other running-related problems at bay. Replace your running shoes before they become obviously decrepit and stretch regularly, but only after a thorough warmup and not when a strain is already present. 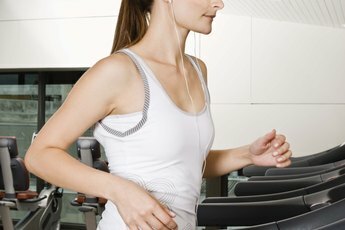 Don't increase the volume or intensity of your treadmill workouts too quickly. Avoid doing back-to-back hard sessions and allow yourself a day or more a week of rest or some activity other than treadmill running. Finally, control those inclines; don't run steep "hills" on the treadmill more than once or twice a week. Does Support on the Thighs & Hamstrings Help Running Pain? Does Running on the Treadmill Damage Your Calves? 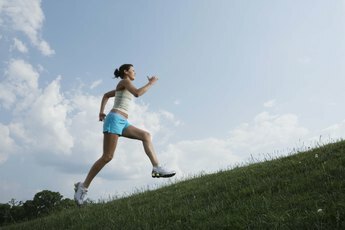 Should I Wait Until My Legs Aren't Sore Before I Run Again?